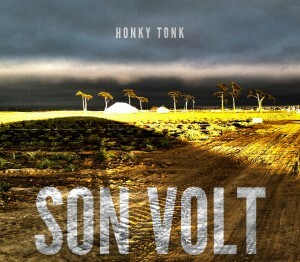 Alt.country/Americana music pioneers Son Volt will release Honky Tonk, their highly anticipated follow-up to 2009’s American Central Dust. According to a received press release, the 11-track album features a mix of classic honky tonk and acoustic-based songs about “heartache, heartbreak, and the road.” Sounds like a winning combination. “Ride”, the new release from Wayne Hancock, exhibits a little less of his customary Juke Joint Jive. Hank Williams style lonesome Blues is more prevalent on the album. However, Hancock still knows how to swing. Since we last heard him on 2009′s “Viper of Melody”, Hancock has gone through a divorce and sobered up. In Country music a woman leaving doesn’t normally lead to sobriety, but it seems to have worked for the man known as “The Train”. (Instead of drinking songs we now have “Cappuccino Boogie”.) There is also a new love in his life. The title cut describes this new love, motorcycles. “Ride” is one of the songs that swings on this album, as does “Deal Gone Down”, a song of revenge. Specializing in original country/soul, Sarah Potenza & The Tall Boys is a Nashville-based Americana band. In 2008, Sarah Potenza & The Tall Boys released their debut album, “Shiny & New”, a powerful collection of original songs that drew attention from venues and festival producers nationwide. Within that year, the band was performing at festivals and sharing bills with acts like Joss Stone, Bonnie Raitt and the legendary Stevie Wonder. In 2010, the group released its second full-length album, “A Lifetime Worth of Sin”. 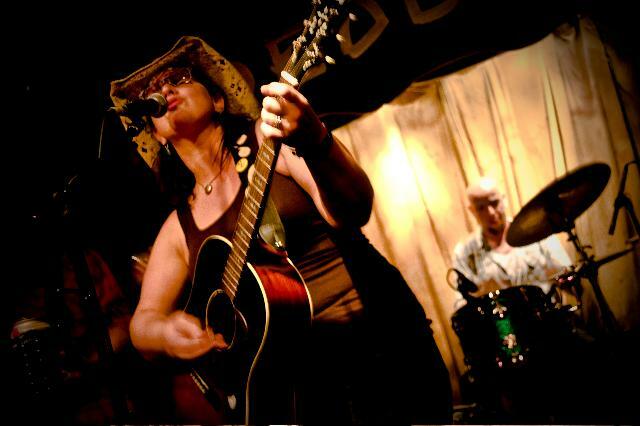 A collection of Americana music, derived from blues, bluegrass, and alternative-country, all songs were written and produced by Sarah and the band, with the exception of one cover of Lucinda Williams. This CD features a talented list of notable guest musicians from such groups as The Hen House Prowlers, The Hoyle Brothers, and The Congregation. To capture a warmer and more authentic sound, the entire album was recorded on two inch analogue tape with a Studer track tape machine at Strobe Recording Studio in Humbolt Park, Chicago. Though the shock value of dropping a sitar into Western pop music has decreased since George Harrison’s Hare Krishna days, the metallic, resonant drones of the instrument can still take a normal pop song and twist it into something unexpected. Rishi Dhir, sitarist, bassist and founding member of Elephant Stone, takes full advantage of the juxtaposition. In “Heavy Moon,” amid the more conventional sounds of electric organs, stomping drums and vocals that recall a strident Elliott Smith, Dhir’s sitar traces a winding path that folds back on top of itself in a continuous loop. Many attempts to incorporate traditional Eastern instruments into Western pop or rock music sound sloppy and cobbled-together, or even teeter on the edge of cultural tourism. Elephant Stone avoids this by cleverly employing the sitar as a textural sound rather than a more prominent melodic one. It’s not an entirely new approach, but one the band has honed to an art. 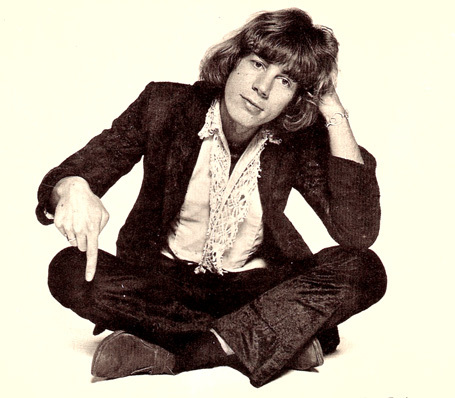 According to MOJO, Soft Machine frontman Kevin Ayers has died at the age of 68. The English-born singer-songwriter was one of many pioneers from The Canterbury Scene, alongside fellow progressive rockers Robert Wyatt, Dave Stewart, Steve Hillage, and Peter Blegvad. In 1963, he joined forces with Wyatt and Hugh Hopper to form The Wilde Flowers, and in 1966 he and Wyatt formed jazz-fusion band Soft Machine. It was with Soft Machine where Ayers found himself collaborating with future Police guitarist Andy Summer, Pink Floyd’s Syd Barrett, and Bob Dylan producers Chas Chandler and Tom Wilson. The band shared the same management team as Jimi Hendrix, and in 1968, they were invited to open for the celebrated rocker on his North American tour. Ayers would later embark on a successful solo career, releasing over 15 albums and collaborating with Brian Eno, Mike Oldfield, and Lady June. His final record, 2007′s The Unfairground, featured contributions from Hopper, Bridget St John, and Phil Manzanera, as well as members of Neutral Milk Hotel, Teenage Fanclub, Ladybig Transistor, and more. Sure, you’ve heard of the Rat Pack, but did you know there was a Caribbean branch of that famous menagerie of Hollywood scene-makers? Even more intriguing, the defacto head of the tropical chapter of Bogie’s bunch was none other than the dashing duellist Errol Flynn. In 1946 Flynn tapped a local act known as the Navy Island Swamp Boys to be the house band for his personal island’s villa and rum bar. Schooled in “mento,” the indigenous music of Jamaica, Flynn renamed the band The Jolly Boys for its feel-good vibe. The group was billed as calypso music to affluent white tourists who flocked to the exotic retreat and carried the laid-back precursor to reggae back to their homelands.